Australia has a hidden history of heartache and alienation which is at times invisible amidst the equally heartbreaking conversation about Indigenous recognition and asylum seekers. I am a proud 6th generation Australian South Sea Islander, and sadly many Australians will be scratching their heads trying to figure out exactly what that is. Australia's early history of 'boat people' is not something often talked about in the daily national conversation around refugees and immigration. Some were convicts in the First Fleet, some immigrated, some have come to seek asylum, but for my ancestors, the journey to Australia was made in cuffs and shackles, with no food and no water. The journey across the Pacific Ocean proved too much for some of these stolen people and tragically many died locked to the hull of a ship. 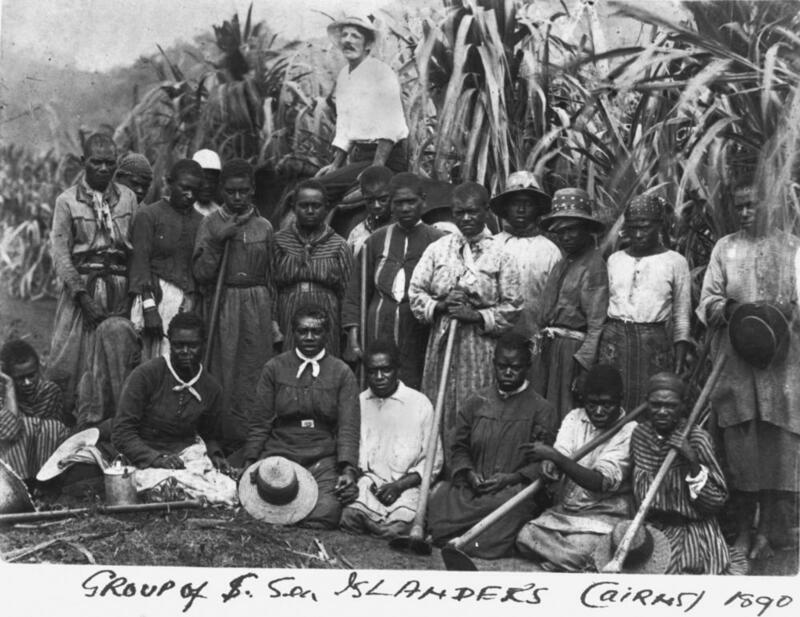 In the 19th and 20th centuries some 55,000 to 65,000 islanders were 'black-birded' (the coercion of people through trickery and kidnapping to work as labourers) from their motherlands. My ancestors were brought to Australia by boat from the Solomon Islands and Vanuatu, and forced into indentured labour, in the rough conditions of North Queensland to plant and cut sugarcane by hand, playing an instrumental role in establishing the now multimillion dollar sugar industry in Australia. It was a hard start to life, enslaved to Australia's early forebears on the shores of early European settlement. My message is this: I Am A Boat Person, my ancestors came to this land by boat. And whilst the trials and tribulations of my ancestors weigh heavy on my heart, I look back at the past with a sense of hope for the future of Australia. My people fought to flourish and succeed in this great land girt by sea, a determination at odds with the great disadvantage that they started with. I believe if we have the ability to forgive the past, we certainly have the ability to learn from the mistakes Australia has made. It is my believe that Australia should be giving hope to people not lucky enough to be born in our peaceful, beautiful and plentiful country, not keeping them under lock and key. It is time for Australia to move forward. Here is my parting message, in Bislama, the official language of Vanuatu, in hope that we can all recognise the good fortune (and boundless plains) we enjoy and must share with those from 'across the seas'. Oli se ples blong yumi emi naes mo swit truly emi happiest ples long wol! Translation: They say our place is truly nice and sweet, it is the happiest place in the world!